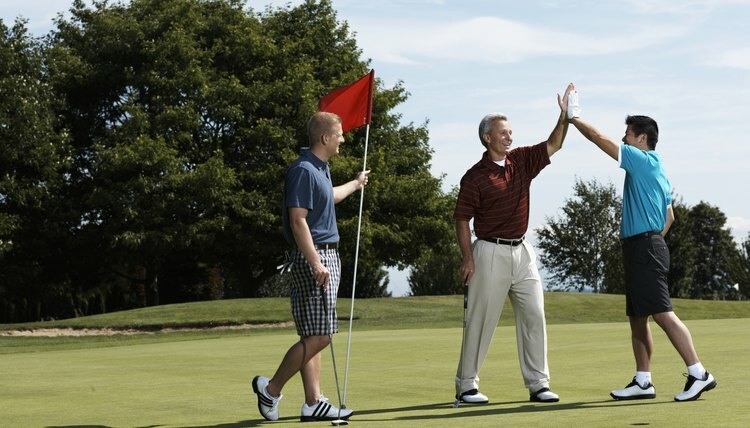 A handicap enables golfers of different abilities to play together on a competitive level. Since 2006, the United States Golf Association, the governing body of the sport in North America, has allowed golfers to post all of their scores online for purposes of establishing and maintaining a handicap. A handicap, formally known as a handicap index, is encouraged by the USGA. It allows you to compete against other golfers of different ability levels on an equitable basis, increasing the enjoyment of the game for you and your playing partners. The USGA has its own reporting system, the Golf Handicap and Information Network, also known as GHIN. More than 12,000 golf clubs -- public and private -- are associated with GHIN. Join a golf club. Under USGA regulations, a golf club is an organization of at least 10 golfers that is licensed by the USGA Handicapping System, or a local, state or regional group licensed by the USGA through its GHIN reporting service. You become a member by signing up and paying a fee at one of the thousands of courses that are defined as a golf club by the USGA. You may even form your own golf club with friends. When you join a participating club, you will be given an ID and password to use to post your scores online. Post at least five adjusted gross scores online. Adjusted scores limit your score on any one hole according to a formula issued by the USGA. Keep posting adjusted scores from your rounds online. When you have 20 scores posted, your handicap will be determined using your 10 best scores and calculated automatically by the USGA, taking into account the course rating and slope rating of any course you play.